This dupion silk floral printed skirt is accompanied by a horizontal striped ivory and orange crop top with elbow length sleeves. With a burnt orange sequin dupatta. 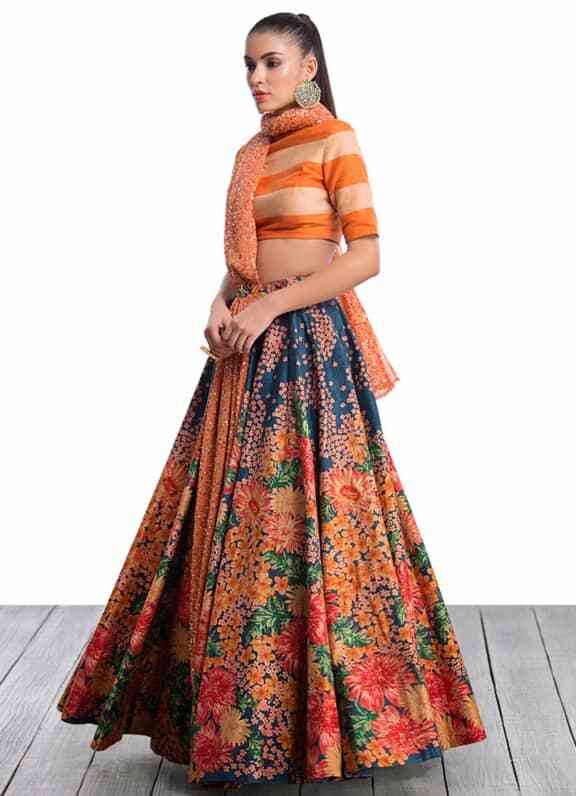 This highly coveted modern floral print floor length Sabyasachi skirt with an orange crop top is perfect to wear for any special occasion. The cancan in the skirt and the sequined dupatta add glamor and make this ensemble a showstopper. Our stylist has paired this ensemble with gold and pearl oversized stud earrings and a bold gold hand cuff by Amethyst.